While on the subject, it is quite pertinent to note the statistics of some of the popular channels. This information is useful to assess the potential and also acts as a deciding factor as to which channel is offering the best viewership. • CISCO is projecting quite interesting facts about the global internet traffic. 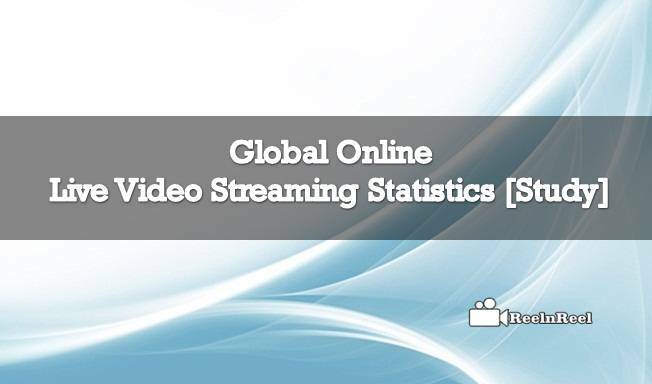 One of its reports suggests that by the year 2019, online video will be responsible for 80% of the global internet traffic. (For US this figure is pegged at 85%). • By the year 2019 around 4 billion people (around half the planet) will have access to the net. • By 2019 the number of devices that can access the web will be 3x the global population. • Ericsson projects mobile video traffic to grow 55% per year until the year 2020. • OTT streaming is expected to fuel the growth (with 4K video becoming the new standard for consumers). • The CAGR till the year 2019 is expected to record at 29% (for fixed network) & 67% (for mobile networks). By category, video content is expected to record a CAGR of 33% whereas internet video to TV is expected to record a CAGR of 32% till the year 2019. Above are some of the projections (as well as potential) for online video that quite naturally attracts more and more marketers to approach this channel. As there are many players like Facebook, Periscope, Blab etc. offering this service, now let’s have a brief look at the channel-wise statistics in this field. • People spend 3x longer time watching live video compared to non-live video. • FB users have watched more than one million hours with Samsung VR gear. • The number of videos posted by Facebook users per person by 75% globally in 2015 (for the US the growth figures stand at 94%). • FB generated 8 billion video views on average per day. • The average video post generates greater organic reach than photo posts. • 2 million is the number of daily active Periscope users. • 110 years worth of video is being watched by video users daily on Periscope (March 2016). • 75% – the percentage of Periscope users in the age group f16-34 years (July 2016 report). • 15% – the percentage of top brands on Twitter that use Periscope regularly (December 2015 figures). • 350,000 hours of video – amount of video content being streamed daily on Periscope (December 2015 reports). • 25 – number of languages Periscope is available as on December 2015. • >1 million times – NO. of times the US House Democrat’s June 2016 sit-in was viewed on Periscope. Blab.im (which is the full form of Blab) is expected to take on Google Hangouts and hence is one of the important players in this field. Some of the reports indicate that Blab already rivalled with Netflix & TV with 64miutes time spent on Blab. Blab can compete with other video promotion channels like YouTube, Periscope etc. As detailed above, globally there is an abnormal increase in users, content and popularity of the video promotion channels. This scenario is quite attractive for the marketer, and he has to ensure that he chooses an appropriate channel to make the best use for promotion of his products.